Hope's Cafe: NEW Real Me Collection from nuNAAT Hair Care! Wow, I have recently become very attached to a certain new collection of hair care products from nuNAAT, a company that advertises to help you achieve "All your hair can be." After trying their new Real Me Collection, I have to agree with their logo statement. It certainly does help my hair be all it can be! 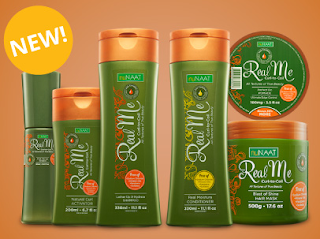 The Real Me Collection is a line of products for wavy or curly hair. Whether you have loose waves or tight coils, or anything in between, these products are for you! 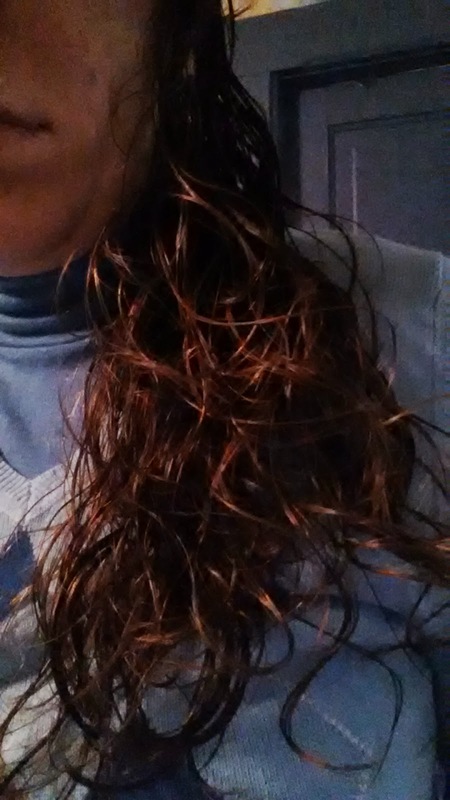 I'm kind of in the middle of the range, with hair that's more than wavy, but not exactly curly either. The Real Me Curl-To-Coil Collection consists of 6 products; Shampoo, Conditioner, Blast of Shine Hair Mask, Pick Me Up Sheen, Natural Curl Activator, and Natural Do Pomade. 3 of these have become part of my daily routine; those 3 being the shampoo, conditioner and curl activator. The shampoo really does a great job cleansing, and the conditioner gives my hair that oh-so-important moisture boost. After towel-drying my hair, I follow up with the curl activator. This is a multi-purpose product, as it adds moisture, reduces frizz, and encourages your hair's natural wave/curl. What I love is that it doesn't add that crunch or stiff quality to your hair, but instead works while leaving my hair super soft. The other 3 products I use on a semi-regular basis. The Shine Mask is something I use once weekly, for that extra moisture treatment. The Perfect Do Pomade and Pick Me Up Sheen are for special occasions, or at least those days I'm not just pulling my hair back into a ponytail! I like to get a dab of the pomade, and add a drop of sheen, combine the 2 in my hand, and then rake through my hair. This makes the pomade easier to work in, and also ensures the sheen gets worked through evenly. Using these 2 products (after the curl activator) really gives my curls a boost, and leaves my hair nice and curly all day. I love using this on Sundays for church, and for special events any other time throughout the week. I recently tried this collection, too, and LOVE it!